Due to overwhelming demand, Cher added new dates to her tour! 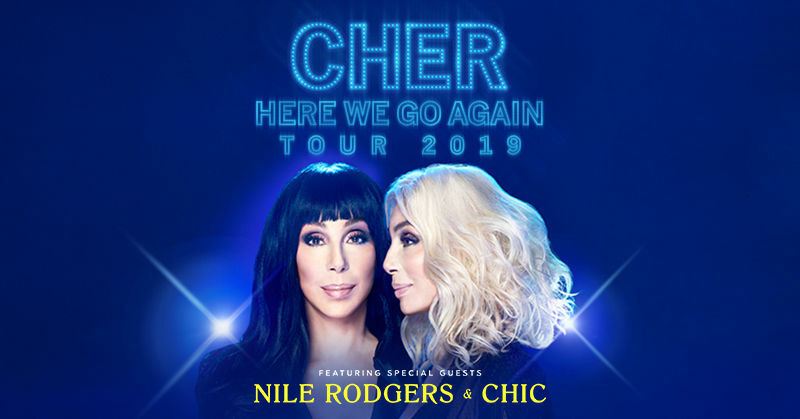 Don’t miss out on the chance to win four tickets to see her on the Here We Go Again Tour! Featuring Nile Rodgers & CHIC as the special guest. 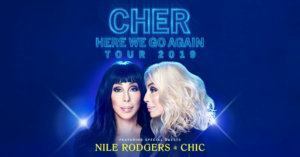 Cher’s Here We Go Again tour, her first across the U.S. in more than five years, has received rave reviews from sold-out crowds at every stop since early January.